Harry Potter Quidditch Goggles | Nerd Much? Gearing up for your next Quidditch match? ThinkGeek has debuted some brand new Harry Potter merch, including this new pair of Harry Potter Quidditch Goggles that ensures protection from the bludgers and snitch. These goggles are handcrafted with detail in mind, including golden stitching and snitch icon on the sides. They’re made from black plastic and vinyl, and they’re comfortable to wear. They’re great replicas, and they’re designed to look exactly like the ones you’d find in the Harry Potter movie universe. The elastic strap helps to ensure a perfect fit for all, and there’s a metal buckle on the back that allows for further adjustment if necessary. So whether you’re a Quidditch all-star or haven’t even played in your first match yet, they’ll look great and fit comfortably. They’re also great for your cosplay and costume needs, which you might want to consider as we start to circle Halloween. 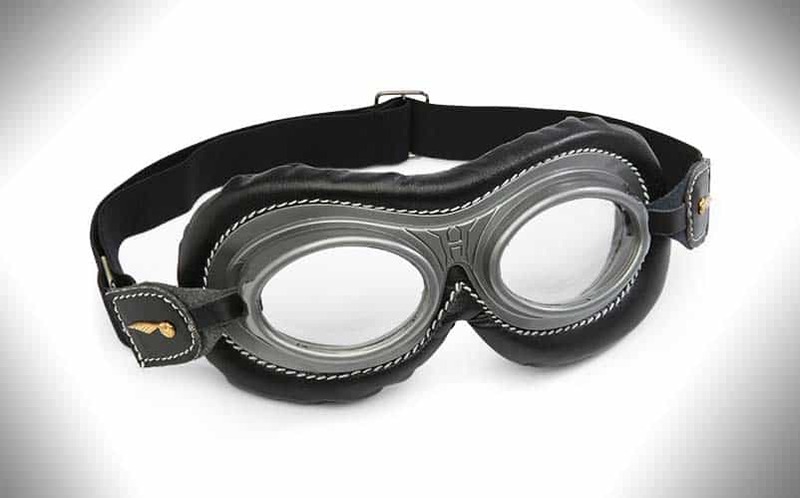 Buy the Harry Potter Quidditch Goggles here. For more cool stuff to buy, stay tuned to Nerdmuch.com. You can also follow us on Twitter and give us virtual high fives on Facebook.